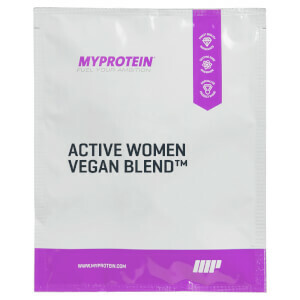 If you're after non a non dairy protein source then this is it, mixes well and with around 24g protein with each 30g scoop you can't go to wrong. The taste however is something else, some people comparing it to cardboard are not far off, but it has to be one of the most disgusting tastes ever. It's taste is so over powering, I've tried to make protein pancakes, protein flapjacks etc. using this protein as opposed to whey but you can't escape the gritty nature and vile taste. When it comes to shakes I've tried to mix it with cinnamon, cocoa powder, honey, chia seeds and a range of others just to try and partly remove the taste but I simply cannot. I've literally just purchased a smoothie maker, so will try and mix fruits etc. with the protein to see if I can get away from the horrible taste. I'm not actually lactose intolerant like some people are, I choose not to take whey protein as I'm a sufferer of acne, and if any of you do any research with regards to whey protein and acne, then you will understand the situation I'm in. I stopped taking whey about 2/3 months back, but it's so hard to get the right amount of proteins in my diet to hit my macros without the odd shake or two during the day, hence why I searched for non-dairy protein shake source. If anyone is looking to take this as a whey alternative due to acne like myself, so far I can tell you I've had no adverse effects so far, just the taste makes it so hard to bare. All I can say is grit your teeth and drink this as fast as you can, have water next to use each time as after every mouthful your mouth becomes dry as if you've just swallowed some chalk. I've given this 4 stars purely based on the reason why we take this - to add protein to our diets to compliment our training and it does that. Good luck! I do not usually post reviews but feel so strongly about the awful taste of Brown Rice Protein I thought I must. When I read the other reviews stating it tasted bad I thought I would be able to mix it with enough fruit and sweet things that it would wipe out the bad taste. I too have found this impossible to do. Anything I mix it with is obliterated by what can only be described as the taste of wet carboard soaked in mud. When mixed, a layer of powder is always left in the foam which then coats your teeth / sticks to the back of your throat, which further adds to the gagging when consuming this drink. I've got to a stage where I can throw it down my neck but it has taken far more effort and mind power than should be needed. I imagine I have developed the sort of mind control that Shaolin monks have. I've got 2.5kgs to get through anyway, I'm shuddering at the thought. 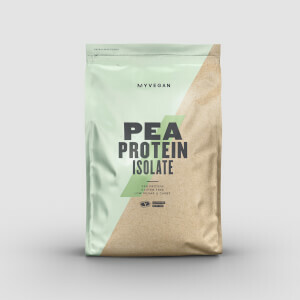 Will try pea protein next time. Rice milk, or for low-carb, coconut milk alternative. Use at least 200ml of liquid per-scoop. I have recently switched to vegan shakes, the whey ones can be a bit sticky when washing the cup and I get a bit bloated. The hemp and rice I have tried have not had that issue. This one is quite chalky but the shaker with the metal thing in mixes up really well. This doesnt taste as good as a blueberry cheescake shake with cinnamon topping of course but it does get the job done. I havent tried the flavour drops but if you are looking for a cheaper alternative try vimto or any other brand of concentrated fruit drink. Pour a bit of that in and it adds enough sweetness to throw it back no problem. This isnt a three course lobster and steak meal its extra protein, pure and simple. Choosing the best vegan protein for you it really takes time!! I've started with soy, honestly I really liked it, its dense(the chocolate and the strawberry version), becomes more like a pudding- so its feeding you and your muscles and the taste is good. However, you should note that if you are intollerant to lactose/whey protein, soy might have the same effects on you plus your body becomes resistant to soy after a while, so its good to change. I ordered this brown rice protein after as I had heard many people were using it. For me after 2 months I can say that it was not working, it caused me terrible intestinal gases and I didn't feel that my muscles are fed at all. The consistence and the taste is really like carton box soaked in water no matter how u try to flavor it. I can only state this after a month on VeganBlend protein which contains less rice- the terrible gases disappeared immediately and I feel more satisfied. Try out everything, and see it for yourself before writing terrible comments. If you are considering buying this product, it is because you have read up on the benefits of supplementing your diet with a plant-based protein supplement and not animal product like whey/dairy. It certainly is not because of the taste, which I can assure you is much worse than you could ever possibly imagine, without having taste it. There is a strong similarity with a sandy/dust that you might find in a hot climate in texture, appearance and smell. Generally i hold my nose and drink as quickly as i can, but i have not yet found a workaround for the mixture clinging to the back of my throat and almost suffocating me. The taste tends to linger, unless followed by a banana or other sugary fruit (good post workout). But, i do feel less bloated than with whey and am certainly having less stomach problems than I did using whey. I generally feel a bit better, lighter and cleaner than when i drank whey protein. After reading the reviews I was a bit confused but decided to give it a go as I was annoyed how whey protein made me feel. Being bloated is not fun and looking 4 months pregnant is not so enjoyable either. All the negativity was directed mostly towards the taste. Not exactly sure how brown rice protein tastes on it's own because I took advice from a friend and I mixed the brown rice protein with pea protein and mix it just with water without adding flavourings and I must be weird because I totally don't mind the taste. You definitely wont go "mmm that's soo good" but it's not the worst tasting thing that I've drank or eaten for sure. For those really fussy ones if you mix it with juice you wont be able to taste it (tried that with first shake to be on the safe side) I cannot really comment on effectiveness just yet but I can say that it doesn't make me bloated and uncomfortably full after drinking it so therefore I love it. Mixes well in coconut milk and in porridge - better than whey in my experience. Taste seems neutral and clean to me, much prefer and no weird feeling after consumption, which I used to get with whey and casein. I'd recommended it.